Robyn awakened to the world of hoop dance in 2010 and quickly immersed herself through trainings with some of the top hoop performers and teachers internationally. 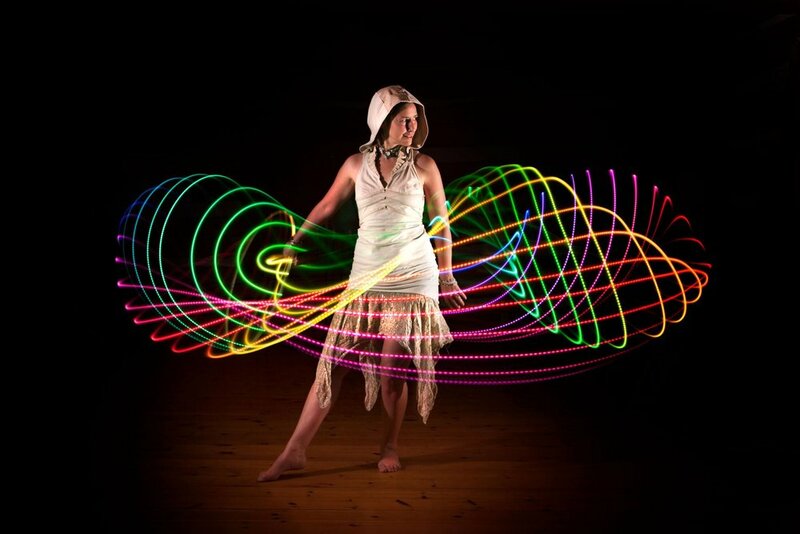 She quickly became a facilitator of hoop healing movement, and brings her playful love of dance to her performances with fire and LED props. Expect a unique journey into fire dance with fire headpieces, fire fingers, and multi fire hoops.